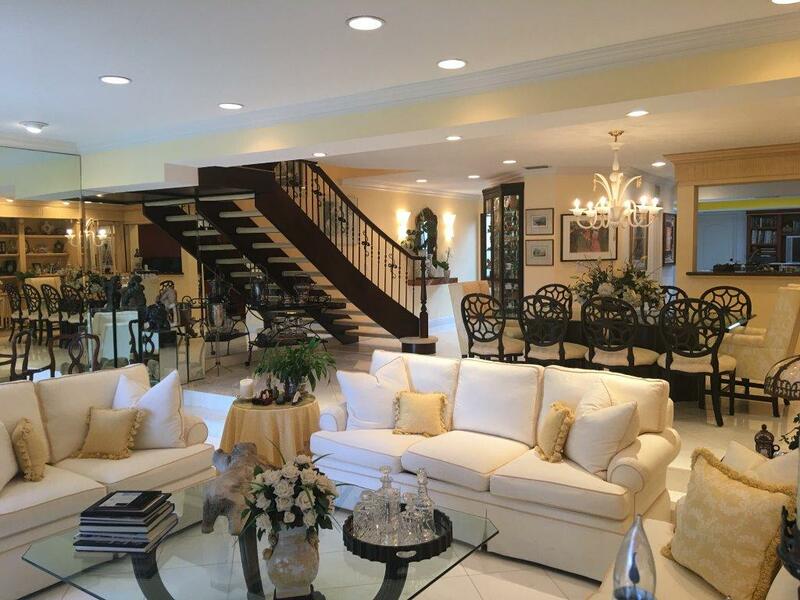 CUSTOM DESIGNED ONE OF A KIND WATERFRONT TOWNHOME IN THE SOUGHT AFTER YACHT AND RACQUET CLUB OF BOCA RATON. COMPLETE RENOVATION INCLUDING REDESIGN OF UNIT. LIVING ROOM WITH 9' CEILINGS FACES THE YACHT HARBOR WITH DOCKAGE AVAILABLE FOR UP TO 75' BOATS AT GREAT RATES. MARBLE FLOORS, OPEN GOURMET KITCHEN AND FAMILY ROOM. GREAT MASTER SUITE WITH MARBLE BATH AND BALCONY OVERLOOKING THE WATER. 2 CAR GARAGE AND UTILITY ROOM. NO DETAIL HAS BEEN OVERLOOKED IN THIS COMPLETELY REDESIGNED WATERFRONT RESIDENCE. YACHT AND RACQUET CLUB IS A FABULOUS LIFESTYLE COMMUNITY WITH POOL, TENNIS COURTS, PICKLE BALL COURTS, CLUBHOUSE, BEACH ACCESS, YACHT DOCKAGE AND A BAR AND RESTAURANT THAT SERVES WONDERFUL FOOD. RARELY AVAILABLE TOWNHOME WITH YOUR BOAT RIGHT OUTSIDE YOUR DOOR!